Is being launched a new campaign of digitizing Blessed Alexandrina’s writings. The Alex-Diffusion will put soon on sale three books in French. It is already next Saturday that will be launched the DVD of Mary's Dowry Productions. Connect to this link and read about the hamlet where Alexandrina was born; see the pictures as well. I went up to the Paradise by means of a little staircase that was so narrow that there was barely room on the treads for my toes. It was with a lot of difficulty and time that I arrived there, because I did not have anything to clutch on to. On the way, I saw some souls on the side of the stairs, giving me comfort without actually speaking to me. Once I had reached the top, I saw at the centre, on a throne, Our Lord and, at his side, His Holy Mother. All Heaven was full of blessed souls. After contemplating all this, I had to return to earth, which I did not want to do. I climbed down with much difficulty and found myself on earth, and everything had disappeared. "In my already not short sacerdotal life I treated closely much people, of all categories, but I never found anyone (even religious and priests) so spiritually and humanly perfect, under all aspects, as Alexandrina. Never". Remembering the frequent contacts that I had with that exceptional soul, illuminating them with the ascetic knowledge that the spiritual readings of my sacerdotal life daily supply to me, I do not reach to discover in her the smallest shade of imperfection. More for the opposite, I discover each time better the beauty, the refinement and the heroism of Alexandrina’s virtue. I admire every day more and more the wonderful action of God’s grace in that soul. If I had to point out the virtue where she more distinguished herself, I would not can to make it, because she did not have one that shone more than the others: she was excellent in all, in a perfect harmony. Even in those that had been more visibly proved: e.g., in the obedience to the ecclesiastical Authority and her directors; in the patience so rudely tested by the illness, or by people who visited her in troublesome way; in the charity with the next one, over all with those who caused her most serious dislikes. Her truly giant personality was propped up by a spirit of very convict and evident humility that arose from her lips and more still of her interior attitudes, as easily can be deduced of the intent reading of her daily writings: by a total indifference of her will, always anxious in searching and fulfilling the will of God with the total resignation of her desires and personal wishes. She was a truly and in a whole way consecrated creature to her God, in immolation’s spirit, to repair the offences that continuously are directed him, and to save souls to him, all the souls. Such consecration can’t be explained without an eminent degree of love of God: insatiable, burning, overwhelming love. This love would not be better defined than applying to it the adjective “seraphic”, in the most complete sense of the word. Only in the life of the great lovers of God recognized by the Authority of the Church can be found a similar kind of love. Even more than the facts, that could cause impression, had been these solid and exceptional virtues that had bound me to Alexandrina: it was on them that I occupied and I worried taking, in the due time, her defence at the cost of many sorrows. It was equally the same reason that took me to demand that she dictated her Feelings of Soul, without which we would ignore her spiritual wealth in its closest aspects and, therefore, most precious. Turin (Italy), 2nd July, 1965. You will experience how good Jesus is, how good, how good! The following story was told by Father Umberto in his Cristo Gesù in Alexandrina and in his interview transcribed in O que dizem de Alexandrina (What people say about Alexandrina). We gathered information from the two sources. In 1956, a nun of the Daughters of Mary Help of Christians was in her bed, unwilling to accept her situation of immobility and severe pain. One day, Alexandrina, whom she did not know, appeared in her cell. Sitting beside the bed, she had an interesting conversation with Alexandrina for about ten minutes, who asked her to sacrifice herself for the world, which is in need of victims. - Courage! You will experience how good Jesus is, how good, how good! From that moment the life of the poor patient changed. “YOU'RE THE QUEEN OF SINNERS"
This is the title Jesus gave to Alexandrina on the first Saturday of December 1944: “You're queen of the sinners; you’re queen of the world, chosen by Jesus and by Mary!” (8-12-1944). "When you're in Heaven, you shall be given the title of 'Little Shepherd of Jesus' " - as He promised on 10 November that year. This affirmation of the Lord leads me to submit the details of a fact which is briefly narrated in the biography of the Servant of God (Alexandrina, pages 198-199). 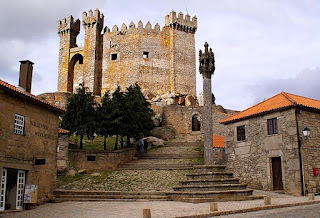 It took place in the parish of Penedono, in the Diocese of Lamego (about 100 km from Balasar). In the biography I didn’t mention people's names, because the event was recent. The parish priest, for several years, had frequently preached in vain, striving to draw his people to a more Christian life. The parish, numbering several thousand souls, only managed to draw a few dozen people to church during the Easter season. In 1945 I was invited to preach for a few days at the end of Lent. Because it would be hard work, and because of the situation in this parish, I decided not to respond to the invitation. I spoke about it to Alexandrina. I accepted and arrived at Penedono. I said to the priest that Alexandrina was praying and suffering for our intentions. The church was filling up more and more every day. But my invitation to confession was not accepted by anyone. Not even after my sermon at the cemetery, where I spoke of death, the deceased loved ones and their appeal from the afterlife, where there is a complete view of eternal truths. The pastor was overwhelmed ... and decided to leave the parish. - Do you know why your parishioners do not convert? ... It is because of your lack of faith! The next day, the Wednesday of Passion week, as I was very tired and having already lost my voice, the pastor did not want me to preach any more. I opposed this ... and reaching the pulpit, called out to Alexandrina (she was still alive at this time). My voice came back. At one point in the sermon, I ordered the sexton to remove the cloth that covered the statue of Our Lady of Fatima and told him to light the altar candles. Then I invited all the children to gather around Our Lady, and loudly ask for the conversion of the older people who filled the church. I noticed that many people began to cry. The next morning, before Mass, I was in the confessional, and the faithful were already in the church and waiting. Soon, the little hand of a child opened the curtain of the confessional, while with the other hand he held a woman's shawl. - Father, confess my mother ... She did not want to, but I asked her to confess and become a friend of Jesus. She was the first person to be confessed. That day, the penultimate one of the mission, the parish had an irresistible wave of grace. It was necessary to call for more priests, because the confessions were very many. - It's also the time of grace for me ... For further humiliation, I will confess to the pastor (who was present). I apologize for the scandal that I have given. At three o'clock in the afternoon, in commemoration of Jesus' death, I will be here. Saying this, he began to cry like a child. This fact made such an impression that a stubborn group of men wanted to confess that afternoon. The next day, at four thirty in the morning, I boarded the bus to return to Mogofores (the village where Fr Umberto lived). In the dark of the night, a man came racing after the bus loudly calling for me, "Father Umberto! Father Umberto!" - I came to thank Your Reverence the peace and joy you have brought to my soul! I don't remember what I said ... because the bus was to leave and I had to board it hastily. "After complete recovery from fatigue due to the work of the past two weeks, I feel obliged to give thanks for the shower of graces that with such abundance, her prayers and her sacrifices have made to rain down in this parish, through the words of Fr Umberto. Souls who were many years away from the Sacraments flocked in large numbers to wash in the waters of Penance and to receive Jesus in Holy Communion. It was a real triumph of divine mercy! Unable to contain my joy, I thank you for what you have done for these poor souls ..."
Tell souls who love me to live in union with me in their works. I make reparation on behalf of those who offend You. Jesus, come into my heart. These are moments of great joy and consolation for me. What sins are committed against me in the Eucharist! Live the life of Calvary and the Cross. Live the Eucharistic life. so that nothing may remain in my body and my soul to be crucified. My brother had an operation on his gall bladder with laser surgery. After the operation he was profoundly anaemic due to a large haemorrhage caused by a perforation of a blood vessel. He received five litres of blood in successive transfusions, but the anaemia didn't stop because the bleeding continued. Because he has heart problems and had reacted badly to the operation, doctors avoided operating on him again. One evening, during visiting time, I was in the room, next to my brother, who was as white as chalk. The surgeon entered, turning to him, and said gravely: "Your analysis is still very poorly; if during the night the bleeding does not stop, tomorrow you go for the operating room." We were terrified. I tried to instill hope into him, and told him I'd pray, but came home with a sinking heart. Immediately, I looked for a prayer-card of Mother Clara, whom I was recommended to ask for graces. I sought the prayer card, but I didn’t find it. But then I found a prayer-card of Blessed Alexandrina. As I didn’t have "great confidence" in her, I called a friend who I knew had devotion to her and asked him to commend the case to her. I learned later that they, in turn, had telephoned another friend to ask the same thing. The three of us, in union, asked the intercession of Blessed Alexandrina. Precisely that night the bleeding stopped, my brother did not need to be operated on, and the situation with his blood slowly returned to normal. Since that day, I always pray to Blessed Alexandrina in times of trouble and she has already won other graces. On 20th November the new Postulator of the Causes of the Saints of the Salesian Family, Fr Pierluigi Cameroni, will come as a pilgrim to Balasar with a youth group from the Shalom Community of Palazzolo (Brescia, Italy), accompanied by Sister Rosalina Ravasio, founder and director of this community. As announced in Bulletin No. 15, from July, Fr Pierluigi is the new Postulator for the Causes of Saints and, therefore, is the new Postulator for the cause of Blessed Alexandrina. It is not the first time that Fr Pierluigi Cameroni has come to Balasar; a great devotee of Blessed Alexandrina, he has already participated in two pilgrimages, most recently in 2006 on the occasion of Fr Umberto Pasquale's birth centenary. We all remember the great enthusiasm with which the group of Italian pilgrims was hosted by the Community of Balasar and its parish priest Fr José Granja. Fr Pierluigi arrives on Saturday, Dec. 20, in the evening and leaves Monday morning for S. Santiago de Compostela, Spain, on the last stage of the pilgrimage. The Shalom Community has about 300 people taking a path of recovery from a life marked by evil, in expectancy of a free and happy life. The Community depends on the Bishop of Brescia. In this group of pilgrims there are youngsters this year, in the way of the Community, who have acquired maturity and will make a commitment to the Lord in the service of young people, living the spirit of giving to others. Those who engage in studying and disseminating the Blessed Alexandrina can only welcome as a happy event the publication of Caminhos de Balasar (Paths of Balasar), "a biography of the Blessed Alexandrina", written by Fr M. Fernando Silva. And it comes at a time when the disclosure of the Beata of Balasar lives a particularly productive moment: came out recently in England the DVD by Mary's Dowry Productions, is an ongoing successful advertising campaign on Facebook, are to be launched the issue in French of the excellent biography Solo per Amore! (“Seulement par Amour!” or in English “For Love Alone!”) and the second edition of the voluminous book Figlia del Dolore Madre di Amore, has been recently published a book in Brazil, is expected a booklet translated to Latvian and other translated to Maltese and is ready a historical monograph of Balasar. 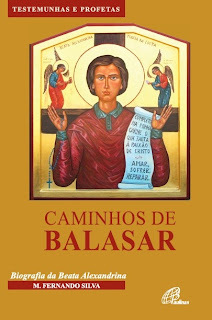 Caminhos de Balasar offers a clear, reader-friendly story, accessible to the ordinary reader. As Pastorinhos de Fátima (“Little Shepherds of Fatima”) by the same author. The warning that he will not deal with the "mystical experience" of Alexandrina does not seem to be taken too literally. Fr Fernando wanted to follow the Autobiography and did it. Of course, completed the picture, going further, until the death of his protagonist. The book has 400 pages of text, but when it comes to an end, you want more, you feel it was necessary to advance to the “Letters to Fr Pinho” and to the “Sentiments of the Soul”. About the merits of Fr M. Fernando Silva, the cover itself makes plain. He is a distinguished member of the clergy of Braga and becomes the first among the priests of his diocese to achieve a work with this extension on the subject. We believe that publication of this book is a very important step in order to obtain an accurate account of the facts essential to the longed-critical edition of the Bld Alexandrina’s writings. 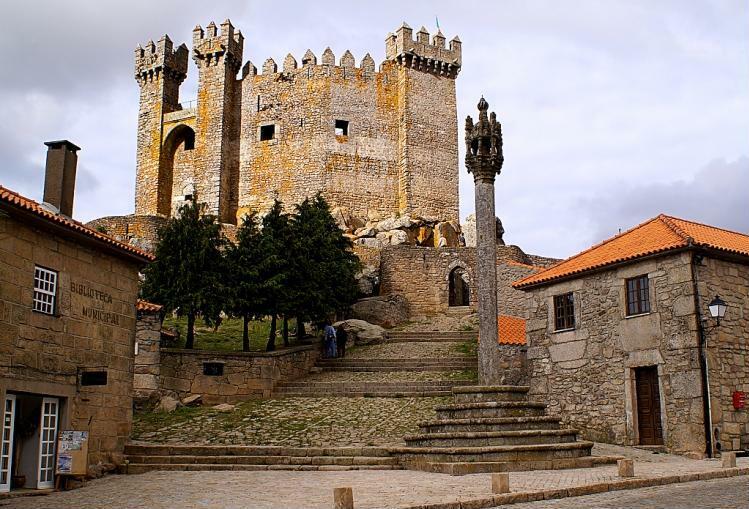 A priest of Braga, former professor at the College of Theology, published a new biography of the Bld Alexandrina that occupies more than 400 pages. Title: Caminhos de Balasar (Paths of Balasar). We are told that it will have translation into Spanish. The campaign Friends of the Bld Alexandrina on Facebook surpasses already 1330 members. I believe that one should speak of a miracle when we read certain Alexandrina's pages. The perfect, the original expression gives to them an undeniable and high literary value. How to explain this in a woman who did not study, who lived in rural areas, who spent so much time closed in her room? And we must add the fact that she does not correct, never goes back to set a word, a phrase, to change a sentence. O my God, my God, I run in a crazy career for Friday. How tremendous hours expect me! Calvary is on top, is so high, nearly reaches the sky. I have to raise it faint and in the most tremendous desolation. - Walk with confidence! I've also climbed. Here I wait you. But the road is so painful and I'm so tired; I fall, roll back a bit. I walk so charged! With all cost I lift with the weight. My God, I don’t see, poor little and blind girl! O my Jesus, come and give me a hand! The number of countries from whence came the visits in October reached a new maximum, 115. The daily average rose to 313.